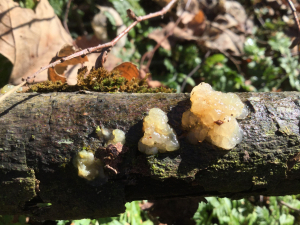 Jelly blobs, some with visible inclusions. Observed on a fallen branch. Photo 3 -is this also Crystal Brain? It was growing on the same branch.